"A multidimensional masterpiece. This work is the jewel of the TRAUMA exhibition"
"The rawness of a haunting condition (PTSD) is rendered as choreography...Intimate, hypnotizing, and dreamful"
"The most compelling experience of the exhibition for many of our visitors"
'Hysteria—as a disease, and later, a set of symptoms—was characterised by unusual physical behaviours believed to be brought on by trauma or a disorder of the nervous system. Psychoanalysis had its origins in the study of hysteria: Freud was able to explain that the physical manifestations of hysteria were not a result of nerves or disorders in the physical body. Instead, symptoms were brought on by mental trauma. Freud was among the first to assert that hysteria happens in the mind.' —From the Wellcome Collection. DOES THE BODY RECORD AND REPLAY THE TRAUMAS OF THE PAST? Hysteria is a physical performance for the camera which responds to ideas around the invisibility of pain and the visible manifestations of trauma. 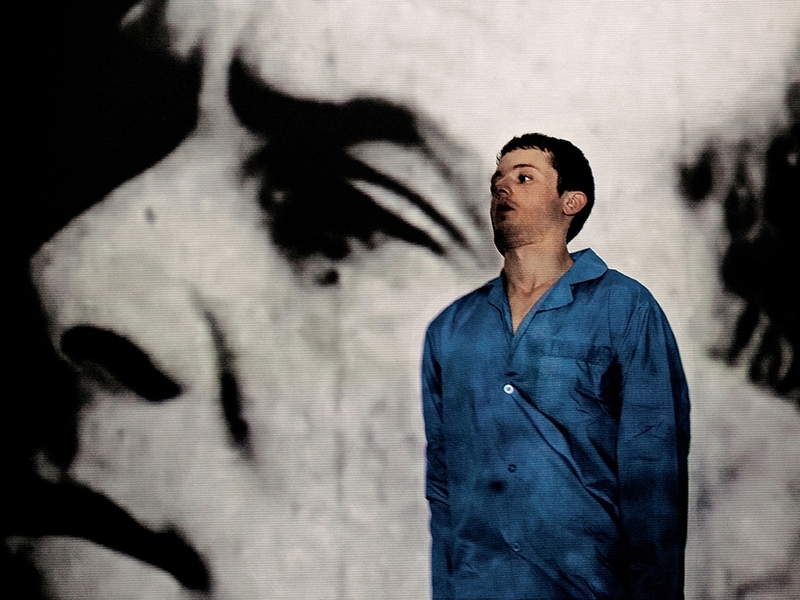 Created by Maurice Kelliher and compellingly performed by dancer Daniel Whiley (Punchdrunk, Sweetshop Revolution)—Hysteria integrates archive footage of patients from Netley Hospital (1917) who present with symptoms of "combat hysteria" or "war neurosis"—or more commonly, "Shell shock". Hysteria was originally commissioned by Science Gallery Dublin for the TRAUMA exhibition (Nov. 2015 - Feb. 2016), where it was installed for three months, specially screened from inside the gallery —but positioned to be viewable from the street—on a loop all night and every night for three months. The viewer on the street was invited to stream the audio directly to their mobile device, for a public/private experience of the installation. 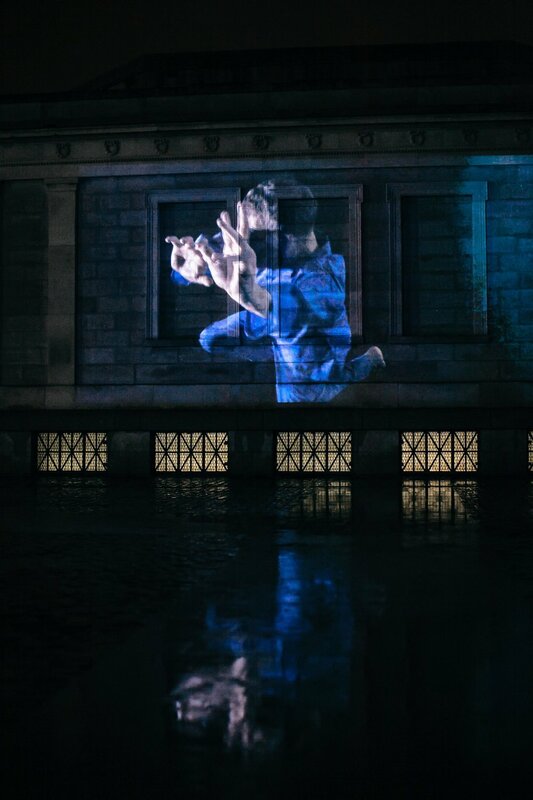 Since then Hysteria was part of the Official Selection for São Carlos Videodance Festival 2016; and in September 2016 it was programmed by invitation for the PROBE festival (Trinity College Dublin)—where it was specially screened outdoors; projected onto the stunning 1935 Reading Room. In November 2017 Hysteria was named Official Selection for Tirana International Film Festival (AL).